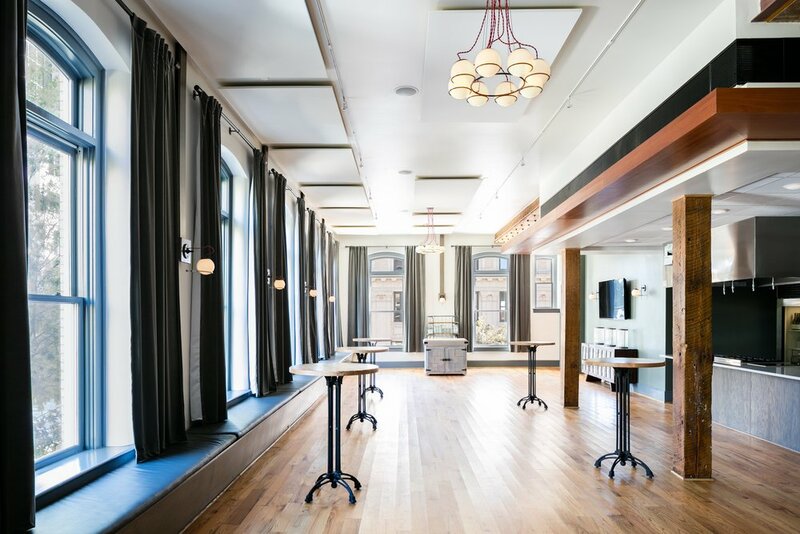 Located in the historic Transfer Company Food Hall in downtown Raleigh, the Benchwarmers space is warm, approachable, bright, and comfortable. The large front bar provides ample space for the making of coffee and specialty espresso drinks, while the kitchen is carefully organized around a large central wood burning oven. Built in 1909, this historic building was originally home to the HJ Brown Coffin House, and later the Raleigh Industrial Bank. James Goodnight purchased the property in 2012, and Maurer Architecture began the three year design and renovation process. The building was recently completed, and is now home to a restaurant, bar, and event space. Death and Taxes was awarded a Sir Walter Raleigh Award for Historic Preservation. Formerly home to Fisher Foods, this building was designed by Frank Simpson in 1951. It is now the commissary kitchen for Ashley Christensen's restaurants. The building provides much needed office, cooking, and prep space to support the downtown eateries. Originally constructed in 1968, the former bank building's unique form is easily recognizable in the Durham landscape. Housed on the main floor and rooftop is The Durham: a restaurant, coffee shop, rooftop bar, and private event space. This nano-brewery and pizza shop is the original Trophy location. Inside this space we added a cozy bar space, with a kitchen and brewery on the back side. A side porch with folding glass walls was added for extra seating, along with a quaint outdoor eating space. 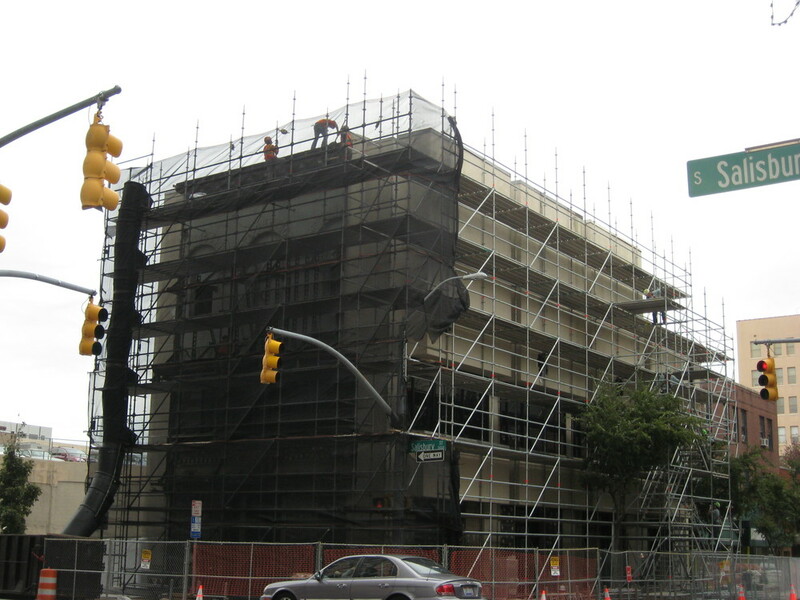 Located in Raleigh, this project involved a full renovation of an existing building. 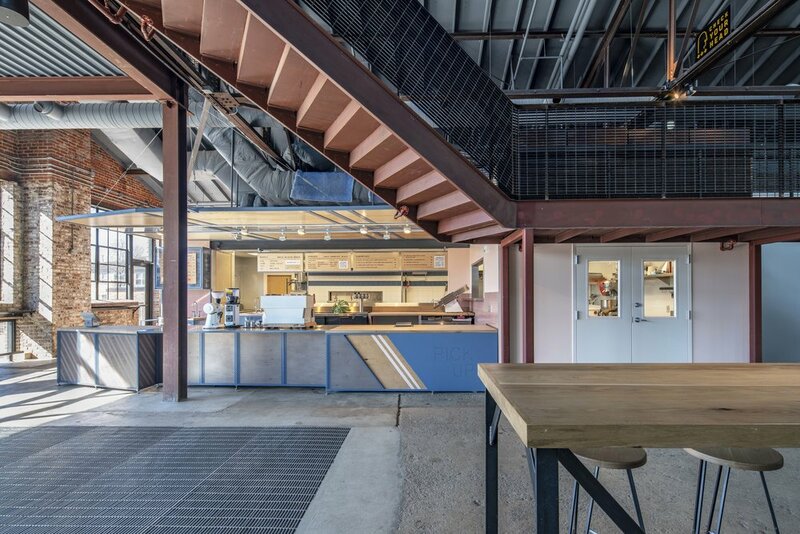 The former office building was transformed into a full-service catering business featuring a commercial kitchen, open work space, and offices. Built in the 1880's this historic building was carefully restored to become a restaurant in downtown Raleigh. 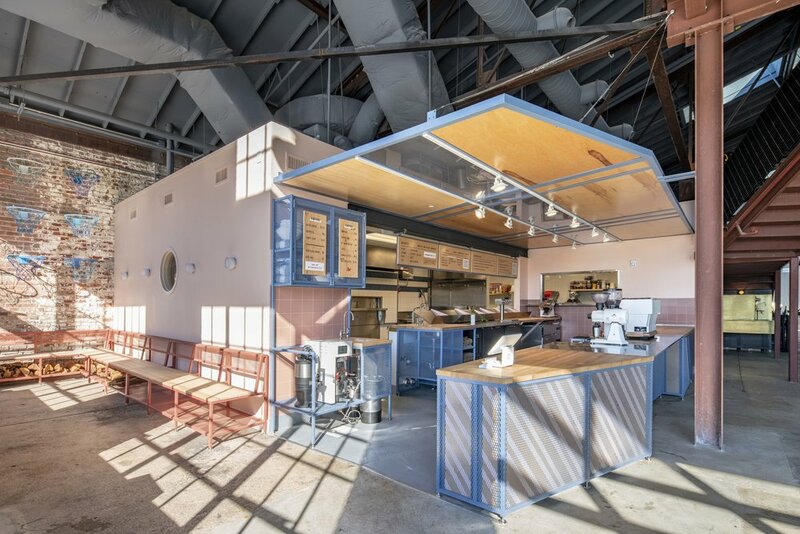 The state of the building required a fully re-built facade as well as new kitchen, dining, and bar space. Busy Bee Cafe was awarded the Anthemion Award by Capital Area Preservation. 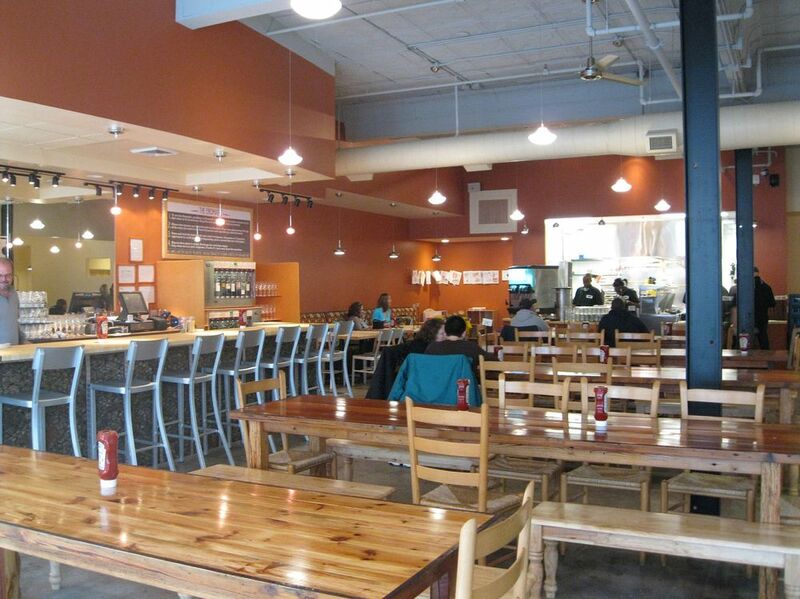 This restaurant and brewery is located in historic downtown Durham. The building includes a large brewery, taproom, and restaurant space. The historic building at 106 Person St. in Fayetteville is one of the older structures in the Market House Square Historic District, built prior to 1885. Rehabilitation and renovation were completed in Fall 2017, and the project will qualify as a ‘certified rehabilitation’ for the purposes of both federal and state historic preservation tax credits. The first floor of the building has been reconfigured for bean-to-bar chocolate production and retail sales of gourmet sweets and coffee. The second floor houses two 900 SF residential units.